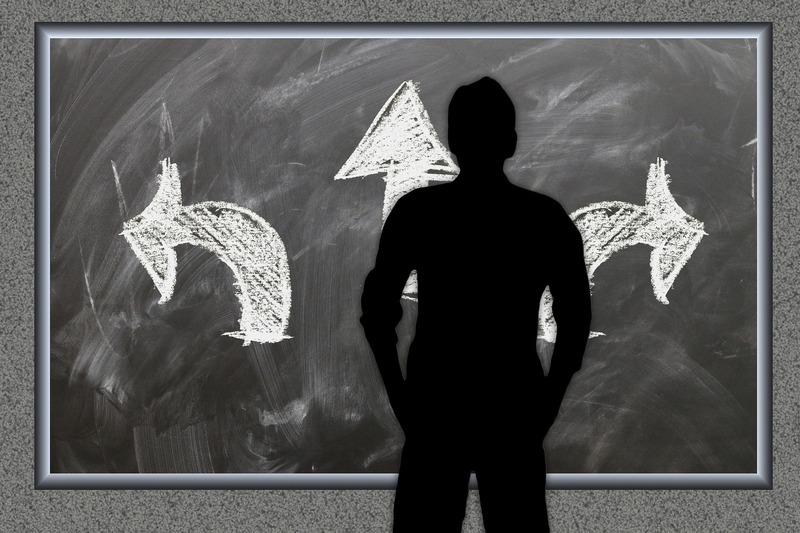 Waterjet Cutting Vs. Laser Cutting | Antech Technologies Inc.
Waterjet Cutting Vs. Laser Cutting – What’s The Right Choice For Me? 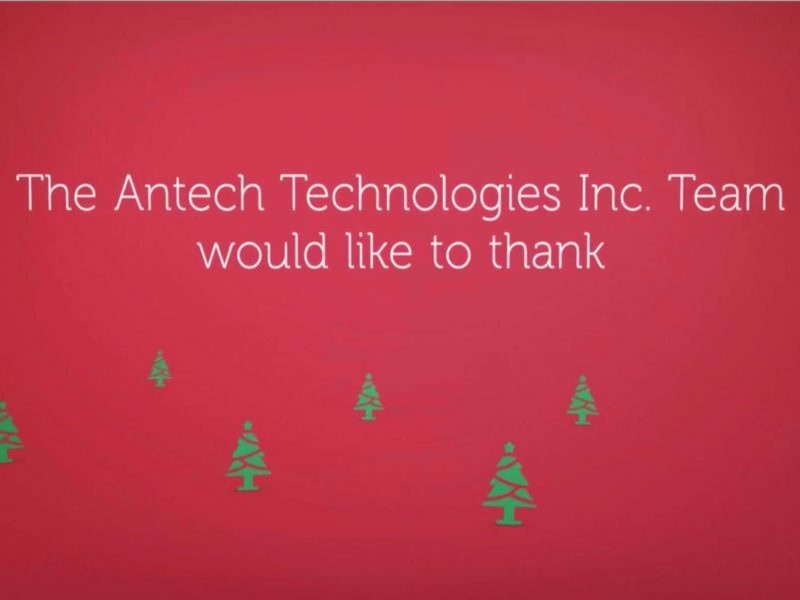 If you’re interested in contracting with Antech Technologies for your next project, you’ve probably got some questions about our services. We offer laser cutting in Toronto, and water jet cutting services, as well as laser engraving services – and you’re likely curious about which option is the right choice for your project. 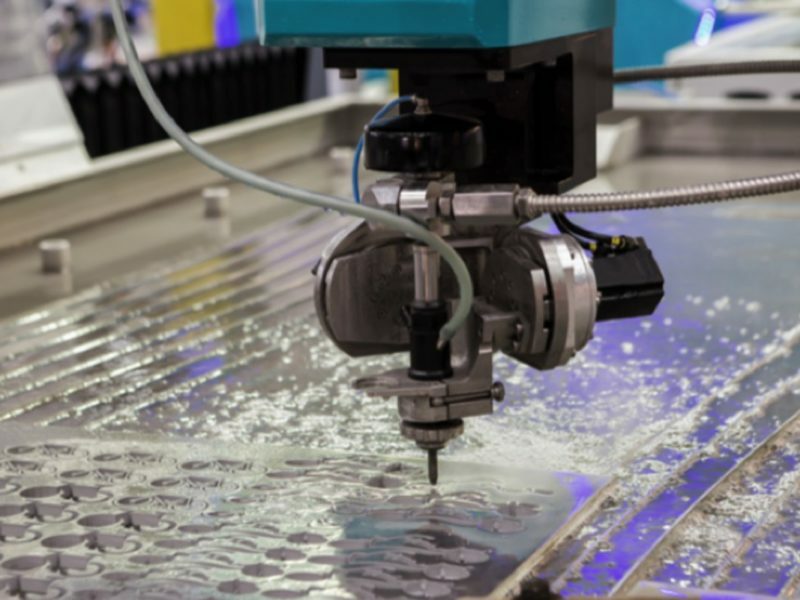 Both water jet cutting and laser cutting have advantages and disadvantages – so we’ll discuss the benefits and drawbacks of each cutting method below so that you can be better informed about our cutting services, and choose the fabrication method that’s right for your project. If you need a project with a cutting volume of thin gauge mild steel, lasers are generally your best bet. On the other hand, waterjet can cut stock materials (several sheets at a time), which sufficiently reduce costs. Waterjet cutting can cut through significantly thicker metals and alternative materials with ease. Heat from laser cutting produces a small heat-affected zone (HAZ) near the cut, which could require secondary finishing depending on finish requirements. Waterjet cutting, on the other hand, does not create a HAZ. In addition, waterjet cutting delivers a smooth edge finish without jagged edges, slag, or burrs, eliminating the need for secondary finishing processes such as grinding. Finally, waterjet cutting doesn’t impart heat or distort parts, allowing parts to be stacked for increased productivity. If you require a very thick material to be cut, waterjet cutting is usually a better option. At Antech Technologies, we use water jet cutting for thicker, more durable materials such as aluminum, stainless steel, composite, titanium, brass, mild steel and much more. Compared to lasers, waterjets can more easily cut thick materials. Waterjet cutting can typically be used to cut any material up to about 7 inches in thickness. 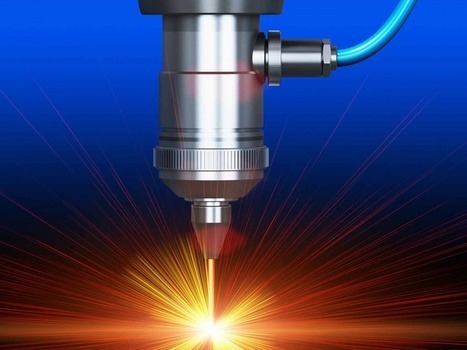 Lasers, on the other hand, are better for cutting materials that are up to ½ inch thick – though some high-powered lasers can cut through materials that are up to 1 inch thick. Thicker materials also slow down the process of laser cutting, requiring longer manufacturing times. Laser cutting from Antech Technologies can be used to cut just about any material except metal. At Antech Technologies, we use laser cutting to cut dozens of diverse materials – from wood to rubber, acrylic, foam, advanced polymers, composites, and more! The precision and reliability of laser cutting makes it a fantastic choice for most non-metal materials. Water jets can also be used to cut just about anything – aluminum, stainless steel and other durable metals, stone, glass, wood, plastics, rubbers, among others. At Antech Technologies, we use waterjets to cut materials like stainless composite, titanium, copper, and much more. We can handle almost any material, in thicknesses of up to 7 inches! Both laser and waterjet metal cutting machines can provide similar levels of finished product quality and precision. However, when laser cutting acrylic, the laser automatically flame polishes the edge. Similarly, with fabrics, the laser heat-seals as it cuts. That said, highly reflective materials such as aluminum and copper are particularly difficult for lasers to cut, and the edge quality is significantly better with waterjet. So, Which Service Is Right For Me? Well, there’s no “correct” answer – it depends on the specifics of your project, the materials you intend to use, and a variety of other factors. Generally, though, water jet cutting in Toronto from Antech Technologies is better for projects that require varied, thick materials to be cut, due to the power and flexibility of water jet cutting. And if you need metal cutting in Toronto, our waterjet cutting services are the best choice! Laser cutting in Toronto, on the other hand, is a better choice for projects that use diverse materials and require a faster turnaround time. 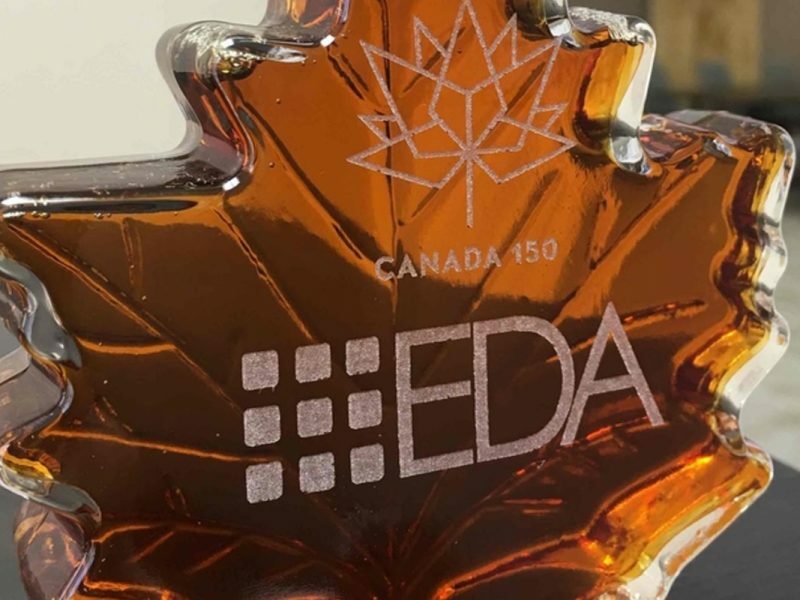 Toronto engraving with lasers can also be used to add further details to your projects. For non-metal projects like photoengraving that require a high degree of detail and precision, laser services from Antech Technologies are your best bet! If you’re still unsure which method is best for you, contact Antech Technologies today! Whether you’re a product manufacturer, metal fabricator, sign shop, store fixture, fashion designer, architect, home builder, or interior designer in Toronto, we’d be happy to discuss the details of your project, and discuss whether our Toronto water jet or laser services are appropriate for your needs!